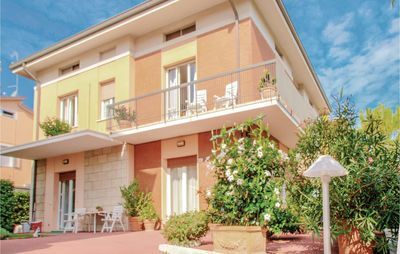 The villa is located on a gentle hill just 3 km from the sea and the historic center of the Roman city of Fano, is surrounded by a large park and an olive grove. 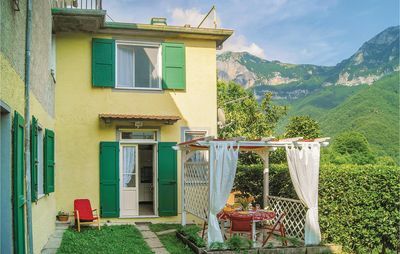 It has 3 double bedrooms, plus a mezzanine bed, 2 bathrooms in the house with a shower and an external one with a shower. Large living room and external porch on two sides of the house. 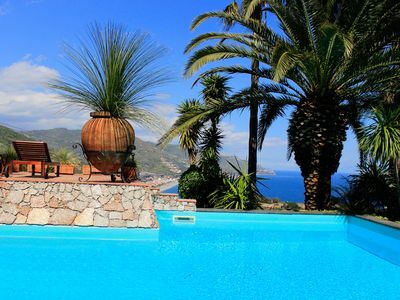 Accommodation is suitable for couples, families (with children) and furry friends (pets). 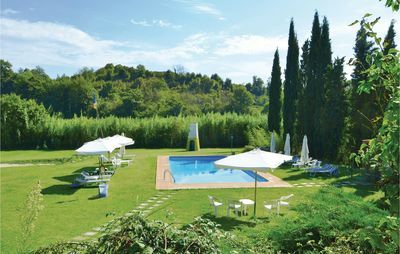 The strengths of this villa are certainly the beautiful and manicured outdoor spaces, as internal ones. 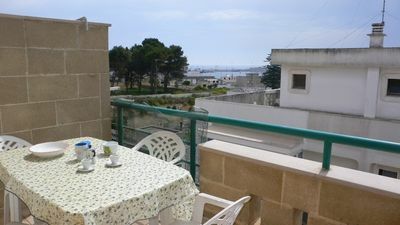 Plenty of space inside and outside available: a huge park surrounds the house, a panoramic gazebo, equipped with sofas and armchairs overlooking the sea for your relaxing moments at sunset and in the evening. 3 porches on 3 sides of the house, in each an outdoor table with chairs to eat outside, play and create. Inside a huge living room with fireplace, sofas and armchairs and TV, on the bottom a long wooden table, the kitchen with a window on the porch. Also on the ground floor there is a bedroom with bunk bed and a bathroom with shower, on the first floor a double bedroom and another bedroom with bunk beds, another bathroom with shower. In the basement there is a second double bedroom. The third bathroom is service but always with a shower and is accessed from the garden, it is comfortable to wash after the pool. 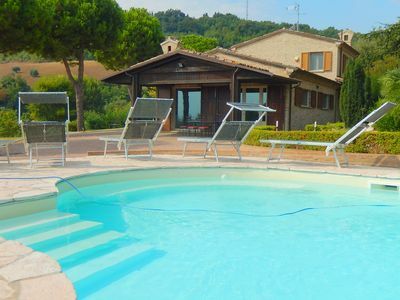 The surroundings are rich in things to visit: just a few kilometers from the Roman city of Fano and Pesaro, the sea, and the rolling hills overlooking the Val Metauro, with a myriad of medieval villages, each with its own characteristic. MONDAVIO becomes one with its Fortress, CARTOCETO for its Frantoi, FRATTEROSA and BARCHI for the production of Terrecotte. FOSSOMBRONE for the archaeological area along the ancient Via Flaminia and a very beautiful historic center to visit. All around the Valley there are productions of Sangiovese and Bianchello del Metauro wines. Last but not least there is URBINO 30 km away and the GOLA DEL FURLO, a highly suggestive natural reserve of extraordinary beauty.